Posted on Wednesday, July 27th, 2011 at 4:56 pm. 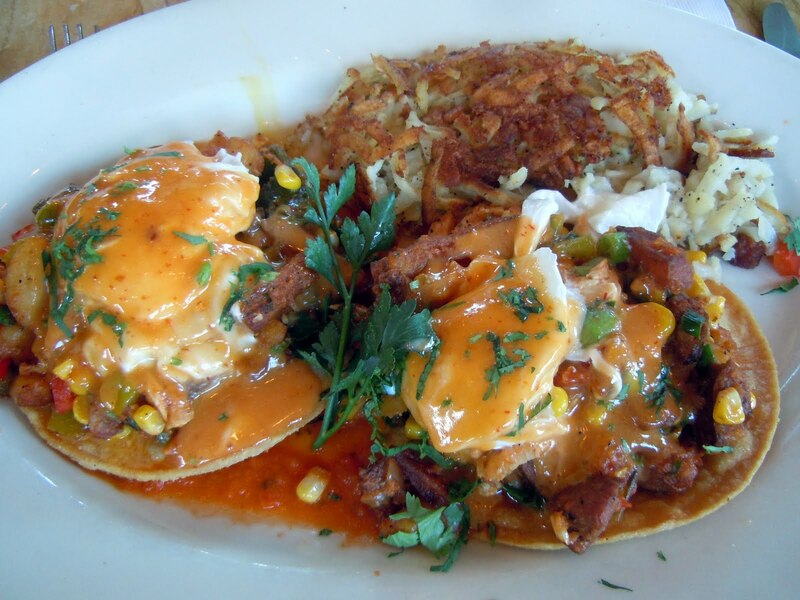 While searching hash tweets, I stumbled upon a tweet about Baja Chicken Hash. 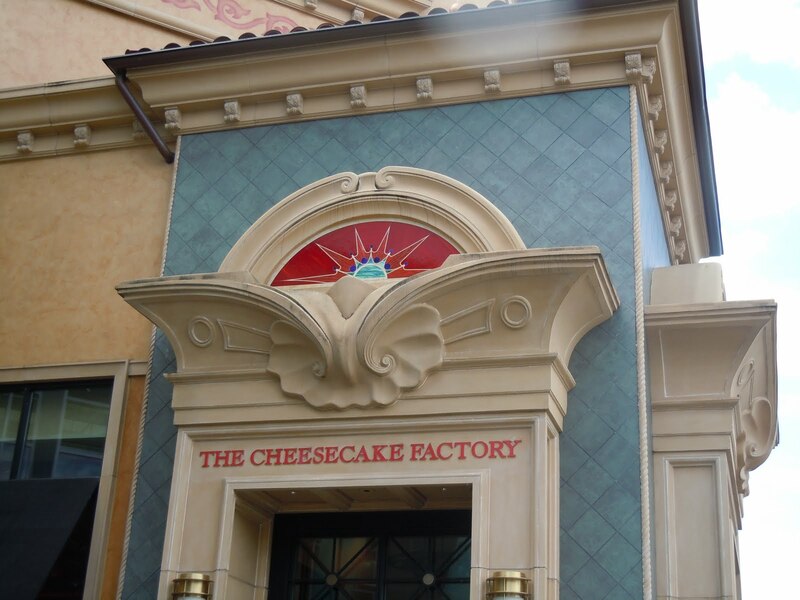 My interest piqued, I discovered that he scored his hashcapade at The Cheesecake Factory – holy frijoles! Turns out that Sunday brings out not only a Baja Chicken Hash, but a Crab Hash as well. Who knew?!?! I’m not going to spend a lot of time talking about a restaurant chain like The Cheesecake Factory in terms of decor, funky atmosphere, or intimate booths. Nor will I talk about the funky neighborhood – it’s in a bloody mall! (sorry, offended Brits!) However, I will say that I expected a monster plate based on countless stories of mega plates of food after a mega wait. Happily, Alex and I were seated immediately and when the baja chicken hash arrived, it was just the right size. No leftovers for this guy (thumbs extended back at me)! 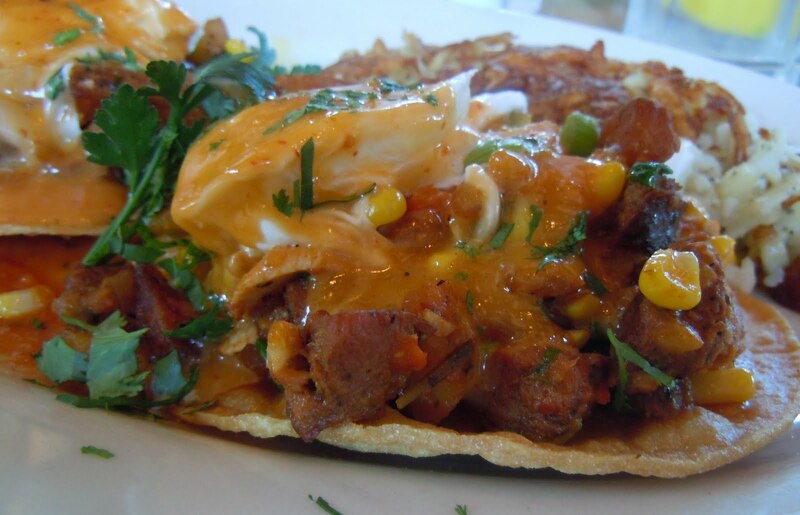 Close-up of my Baja Chicken Hash – yum! Let’s get down to business. The presentation was decent. I liked the fried tortilla on the bottom that provide a nice crunch with each bite. The chicken and chorizo were complemented by corn, red pepper, roasted poblano chiles, potatoes, green onions and cheese. Topping it all off was a poached egg smothered in a pseudo-spicy hollandaise sauce, which was somewhat sweet. Overall, I was pleasantly surprised – a decent hashacapade!